Remember searching through your grandmother’s fridge, hoping to find a snack, only to find a carton of yogurt? At the time, you may have been disappointed it wasn’t pudding or ice cream. But it still seemed like enough of a snack to warrant eating, so you begrudgingly tore off the little foil cover and ate it up. What you didn’t realize as you ate the creamy, surprisingly tasty treat was how well you were treating your body. That’s why, when you go to the supermarket as an adult, you’re practically overwhelmed with a whole sea of brands in bright, happy colors that are slowly taking over the dairy aisle. And while you might still think of yogurt as nothing more than a standard find in your grandmother’s refrigerator, it’s actually a food you’d be smart to include in your fridge as well. 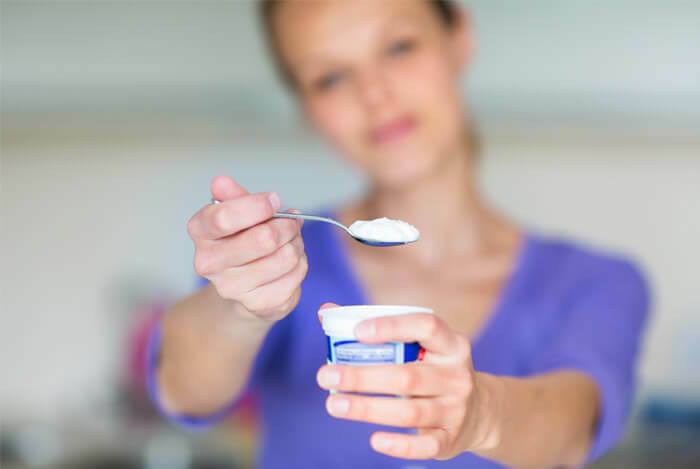 So, let’s pull out our spoons and get the scoop on what makes yogurt good for your health. Yogurt is a form of curdled milk, most often from cows (but sometimes from goats or even buffalo), that is fermented by the naturally occurring bacteria inside of it. As it coagulates, or thickens, it becomes creamy and has a slightly tangy flavor. The way it’s made is similar to that of sour cream, but with far less fat. 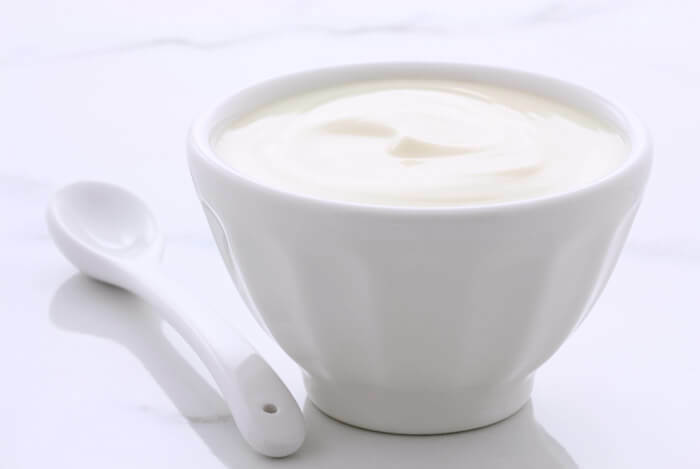 Commercially produced yogurt often has bacteria added to aid in the fermentation process, as well as flavorings and colorings, or the addition of various fruit. There exists a variety of yogurts in just about every supermarket. Regular yogurt comes in nonfat or low-fat, and in a huge range of flavors and textures. Greek yogurt, an easier option for those of us with mild lactose intolerance, has been on a huge upsurge in popularity in the past decade or so. Yogurt has indeed long been known as a healthy snack, and for good reason. An eight ounce serving of yogurt is seriously packed with healthy vitamins and nutrients. Every spoonful contains vitamin A, vitamin D, many of the B complex vitamins including thiamin, riboflavin, pyridoxine, pantothenic acid, B12, folate, and choline. In yogurt, your body will also find and appreciate a strong supply of calcium, phosphorous, zinc, magnesium, and potassium. Yogurt is also packed with protein. That same eight ounce serving of low-fat yogurt contains around 9 grams of protein. If you opt for Greek yogurt, you’ll be getting nearly twice that amount of protein. For quite a while now the idea of “good” bacteria has been gaining traction in the scientific community. And most of that bacteria is found in the gastrointestinal tract, where their purpose has long been mysterious. These bacteria are now known to aid in digestion, produce and more adequately process vitamins, and even protect us from harmful pathogens. Yogurt is known as a “live” food because of all the microscopic bacteria active inside every serving. Those bacteria known to be good for the health are called probiotics. Good bacteria most commonly referred to as probiotics are lactic acid bacteria, with crazy names like lactobacillus and bifidobacterium. Not all yogurts contain these active, beneficial bacteria, so the National Yogurt Association created a “Live Active Culture” seal for yogurt packaging, to help indicate a certain level of lactic acid bacteria. The popular yogurt brand Activia has even trademarked their own probiotic culture called bifidus regularis, which they claim has special benefit to the digestive tract. There are over a thousand known species of bacteria in the gut, all battling it out to determine whether you’re in good health or bad. 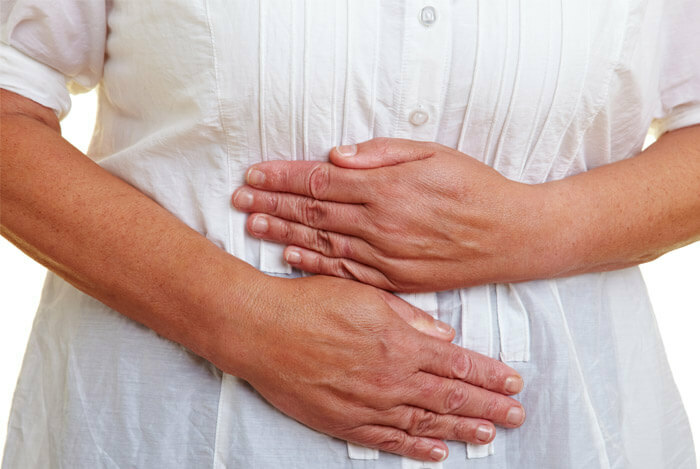 And they don’t only regulate your digestive system; gut bacteria can also help your body respond better to allergens, fight off disease, and regulate weight. If you’re aging and worrying about your immune health, yogurt might be the answer. A study published in the American Journal of Clinical Nutrition found the effectiveness of the probiotic bifidobacterium by measuring its efficacy as a dietary supplement for elderly patients. They concluded that the supplement, found in yogurt, “could be an effective probiotic dietary supplement for enhancing some aspects of cellular immunity in the elderly”. Children also stand to benefit from the probiotics found in yogurt. A randomized, double blind, placebo controlled study over seven months observing 18 day care centers in Finland sought to measure the number of days children were absent due to respiratory or gastrointestinal symptoms. Researchers in the study found that children taking Lactobacillus had reduced symptoms and occurrences of respiratory infections, along with fewer days of absence due to illness. 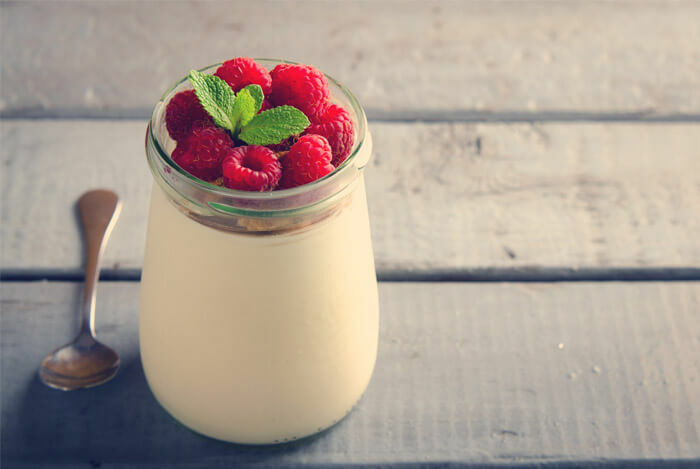 Sounds like probiotics have health benefits across the board, and as yogurt is such a perfect source, you now know exactly where to find them. Not only is yogurt delicious and full of nutrients – it may fill you up better than other snacks, making you less hungry throughout the day. 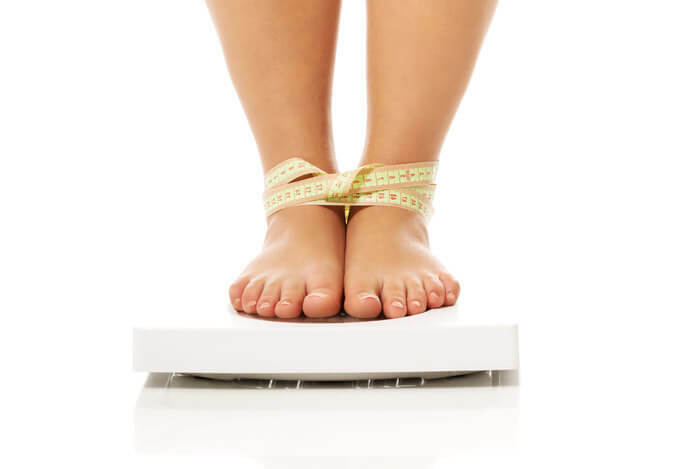 The University of Washington in Seattle performed a study measuring hunger, fullness, and calories consumed in 32 people, half male and female. Each subject consumed a 200 calorie snack. The snacks were either yogurt with fruit, plain yogurt, a peach-flavored dairy beverage, or peach juice. The results showed that the people who ate the two types of yogurt snack were less hungry and felt fuller than their counterparts. So if you want a light snack that can give you a decent energy boost while making you feel as though you’ve eaten even more (and less likely to have those frustrating cravings later), try yogurt. According to the National Osteoporosis Foundation, the most important nutrients for reducing your chance of developing osteoporosis, a bone weakening disease, is to consume adequate levels of calcium and vitamin D.
Each serving of yogurt contains 415 milligrams of calcium, a 42 percent daily value. A serving of milk only has 293 milligrams of calcium. Looks like yogurt is a better source than milk. 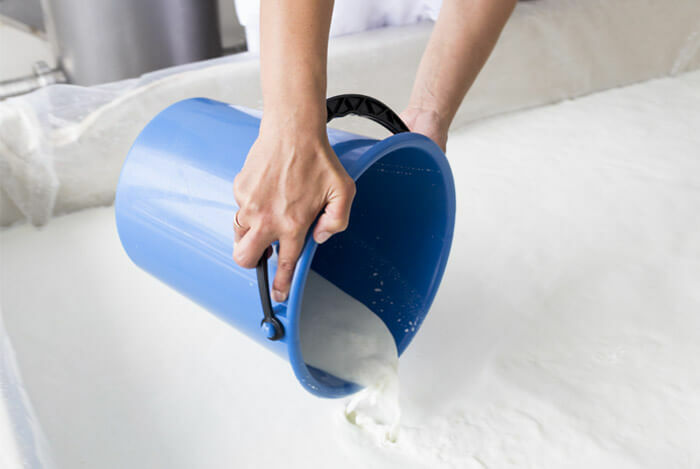 And, since most authorities recommend 2 to 3 servings of a dairy product every day to reach your calcium goals, yogurt may be the best choice around. Vitamin D is crucial to the way the body handles and uses calcium. Yogurt can be fortified with vitamin D, so check the labels to see if your favorite yogurt contains plenty of the vitamin most known for building strong bones. If you already consume yogurt, there’s evidence you likely have a well-balanced and healthy diet to begin with, as you’re probably inclined towards caring about your nutrition. A study published in Nutrition Research found that people who ate yogurt every week had better overall diets and health. And because of the addition of yogurt, they were benefiting even more. “But even after accounting for the healthier diets of yogurt consumers”, says Paul Jacques, D.Sc., director of the Nutritional Epidemiology Laboratory at Tufts University, “we found that eating yogurt itself leads to a healthier diet because it supplies three nutrients that many Americans don’t get enough of: potassium, calcium, and vitamin B12”. So there you have it. Yogurt has convincingly presented an argument as to why you should include it in your diet. 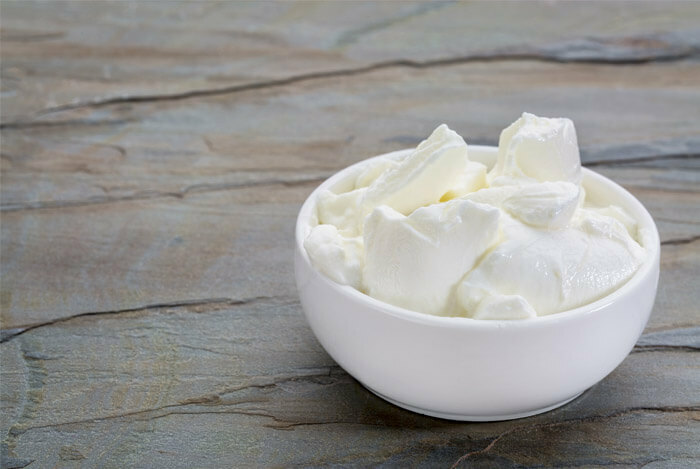 And regardless of whether you prefer Greek yogurt or the regular kind, you’ll still be receiving comparable nutrient benefits, as well as all of the same probiotics. For a food made through the fermentation of milk, it’s amazing how yogurt manages to be both delicious, and awesomely healthy. What’s your take on the benefits of yogurt? Have anything else you’d like to share? Let me know in the comments below!